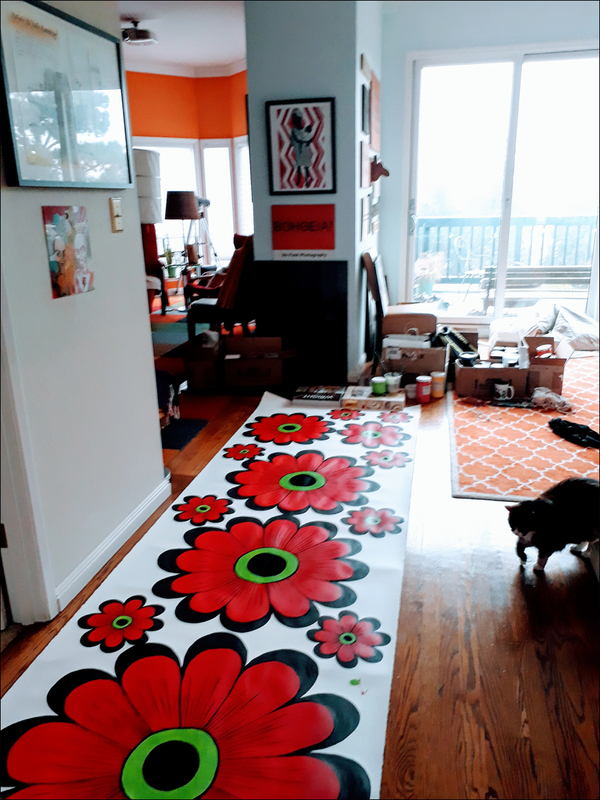 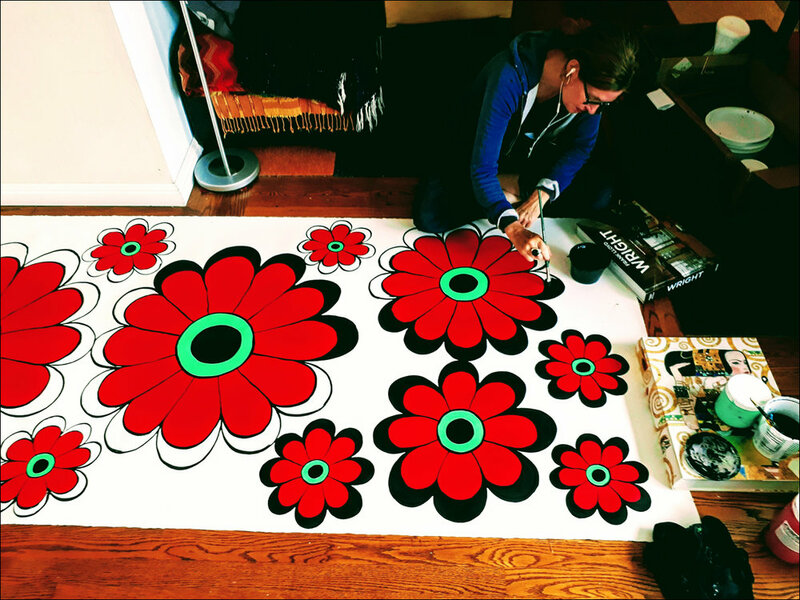 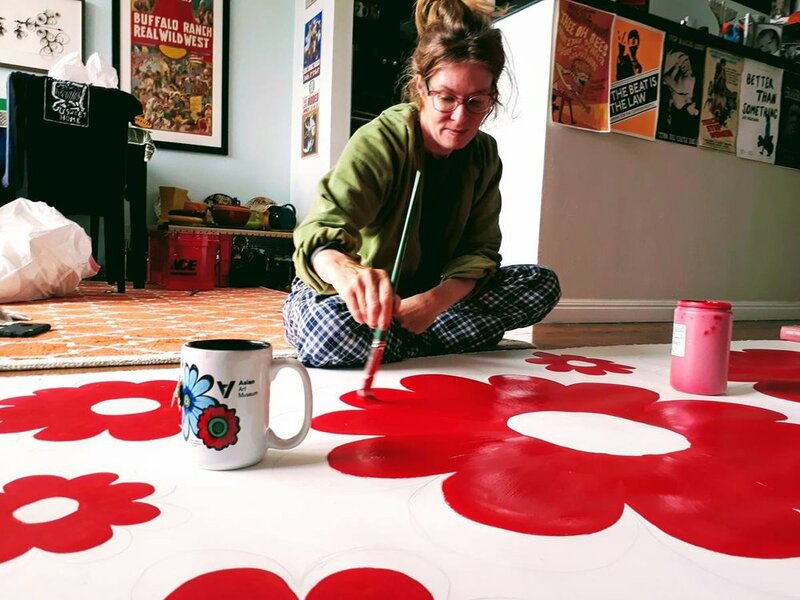 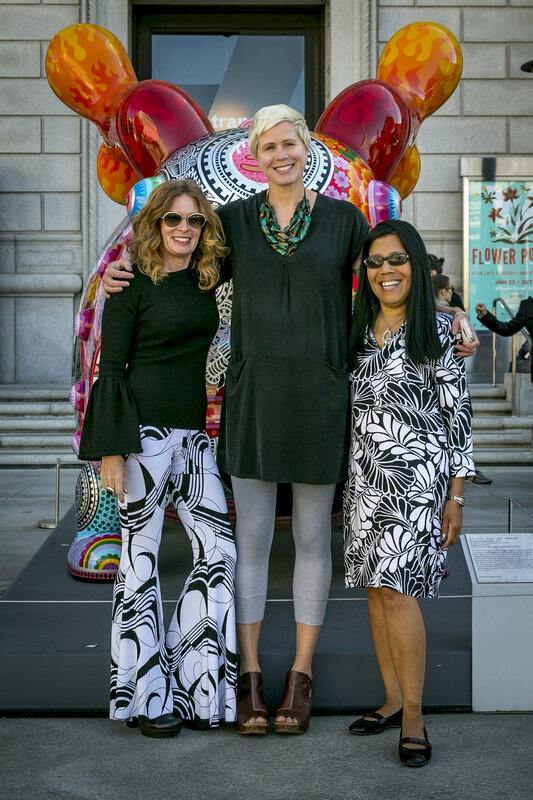 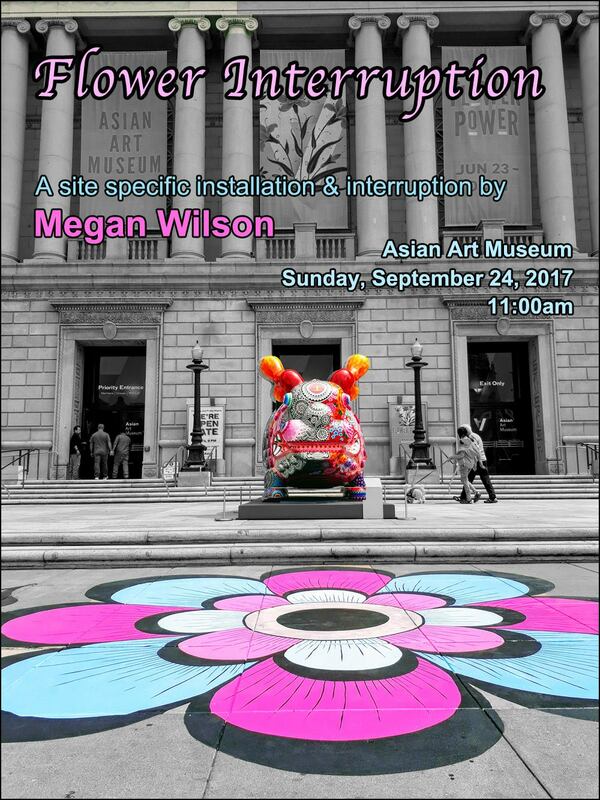 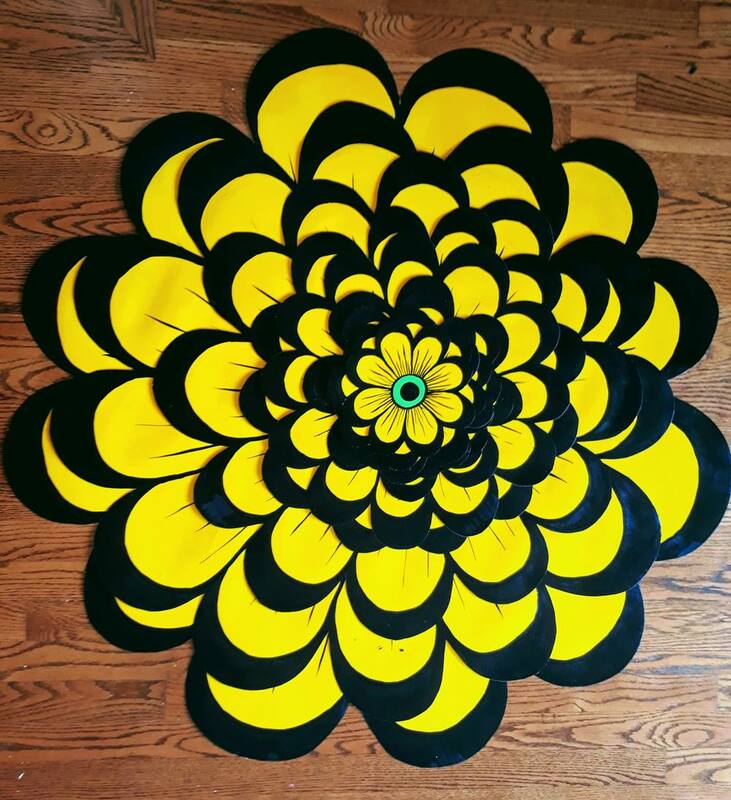 On Sunday, September 24, 2017 Wilson presented her Flower Interruption performance as part of the Flower Power exhibition and as a conclusion to the flowers that she had painted on the sidewalks of Fulton and Larkin Streets around the museum. 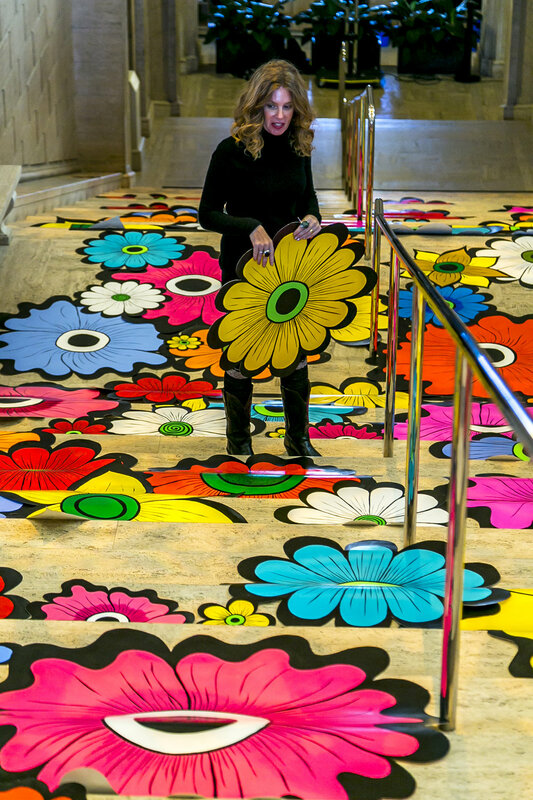 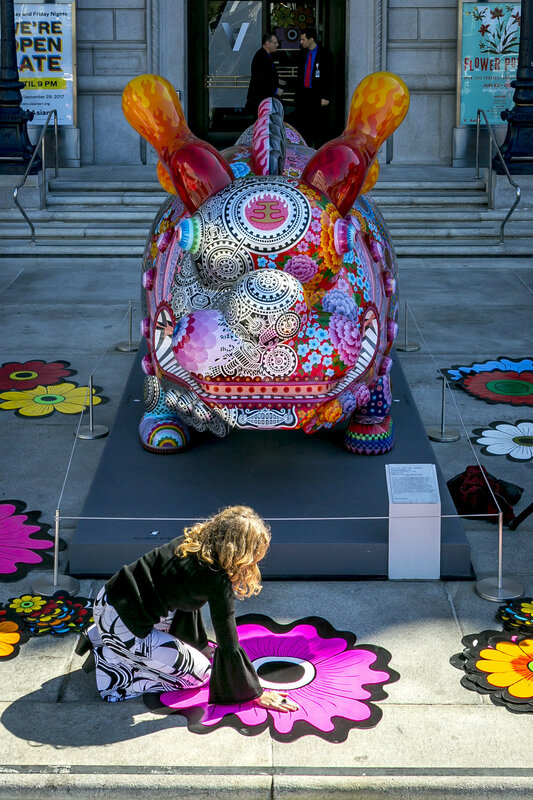 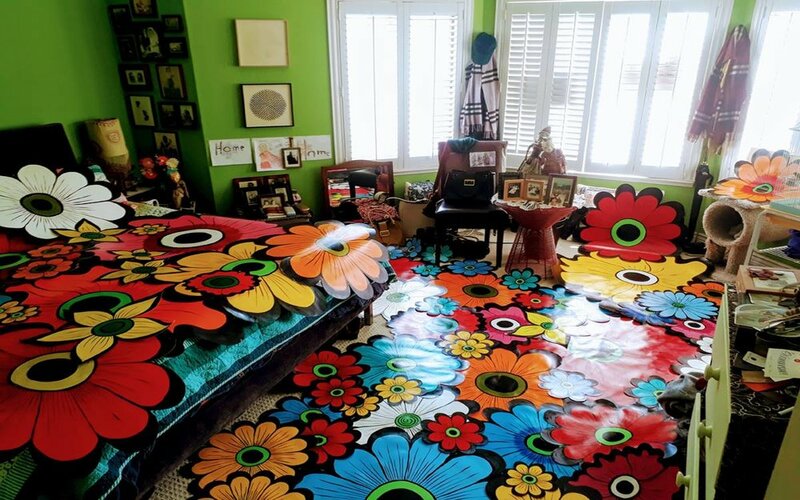 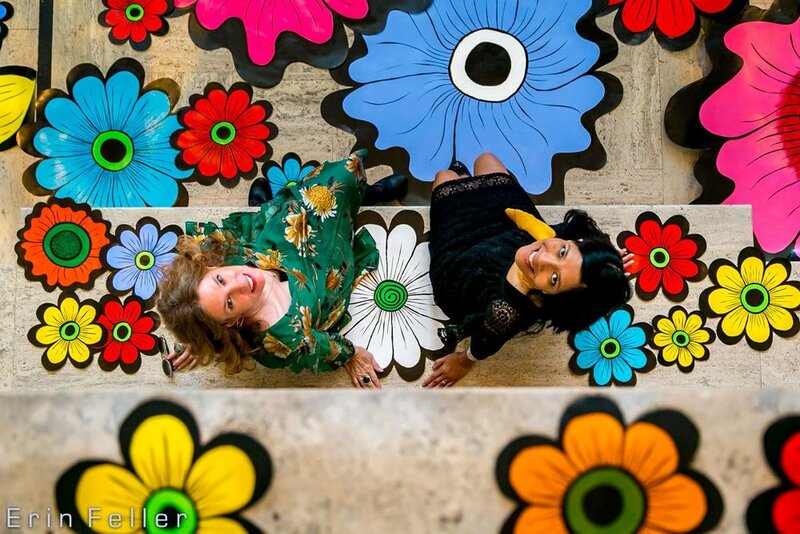 For the performance Wilson created over 300 brightly colored hand-painted paper flowers that she and a team of assistants installed in the area directly in front of the museum. 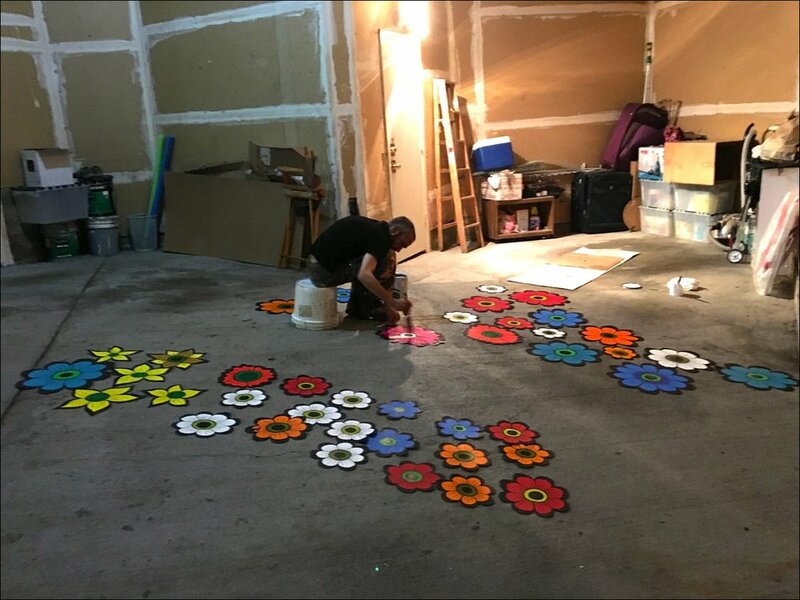 Once the flowers were placed and the ceremony concluded, audience members were invited to take the flowers with them as symbols of peace and love, as well as reminders of the beauty, strength, and fragility of life. 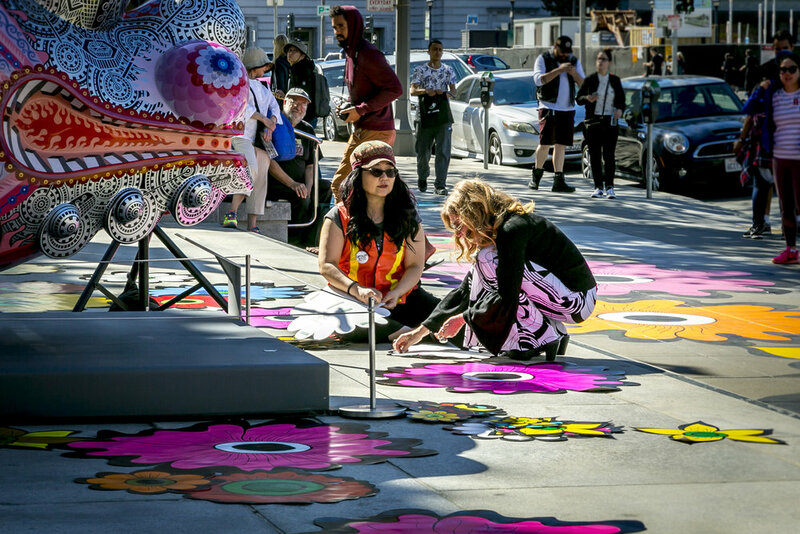 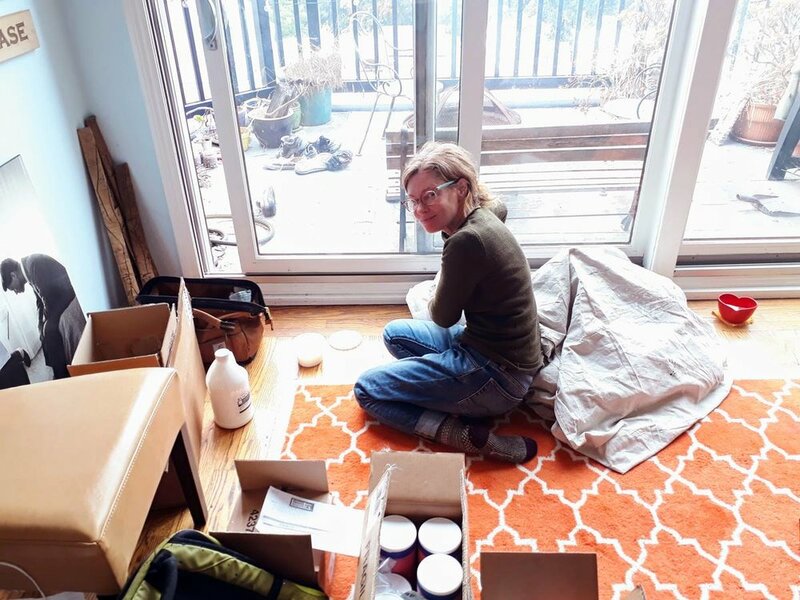 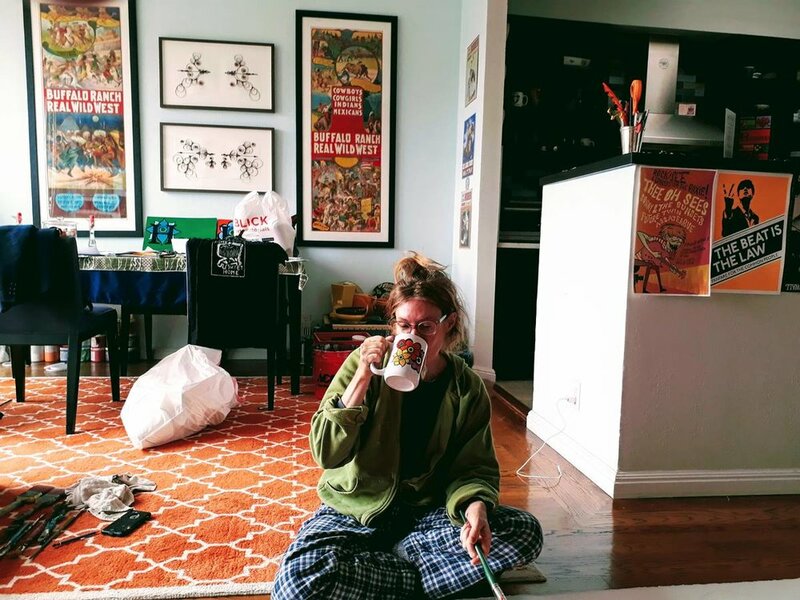 All photos of day of performance by Erin Feller.